NEW YORK (WABC) -- The dog days of summer are upon us, but things will just get hotter as the American League East title is now a two-team race to September. Joe Girardi said it best, "You have to love this time of year," and why not it's like old times, the Yankees and Red Sox battling for a division crown. In reality, four teams are playing for three postseason spots. The Yankees, Red Sox, Indians and Royals. You can count out the Twins and Rays, and Seattle just does not have the horses to get it done. Postseason is fine, but the American League East title is what the Yankees want, and they should get it. Brian Cashman has made key moves to make the Yankees the favorite to beat out Boston. Starting pitching: Chris Sale gives the Sox the best individual pitcher. However, the addition of Sonny Gray gives the Yankees a deeper group of starters. If Masahiro Tanaka can ever find his game, the Yanks could win this going away. Bull Pen: Not even close. 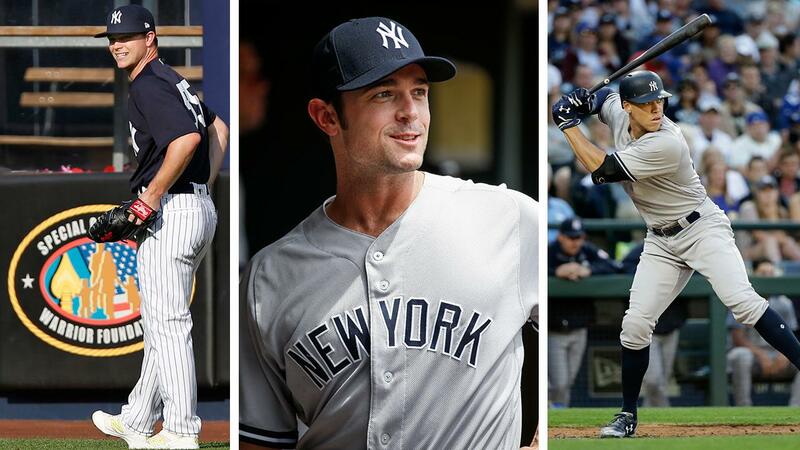 The Yankees additions of David Robinson and Tommy Kahnle give them the deepest pen in baseball. If Yankee starters can give them six innings, the pen will do the rest. Offensively: The Yankees have a deeper lineup with power to spare. The Red Sox have a good lineup, but are last in the league in the long ball. Aaron Judge and company should power their way to a division title. Brian Cashman should get much of the credit for making the Yankees the favorite to win the division, now all they have to do is go and do it.